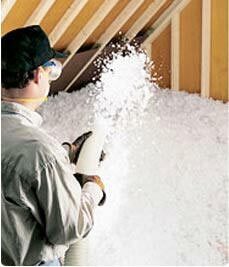 If your attic is not properly insulated, it could lose a lot of heat and cause energy bills to rise. So when working on an attic, Arango Insulation offers blown attic insulation to get the job done effectively and allow for huge savings on energy bills. Economical and easy to install, blown insulation is a great choice for your attic because it can fill even the smallest ruptures and gaps and is offered with an R-value of up to 38. It can also be added to insulation already in place for additional protection from heat loss. If you select us to install blown attic insulation, you can rest assured that the job will be done thoroughly and efficiently. We can normally get to your house within one business day and have the project completed in 1-2 days time, with minimal disruption to your daily life. Call or e-mail Arango Insulation today for more information on blown, fiberglass, or cellulose attic insulation or to have us come to your home in Atlanta, Woodstock, Marietta, Decatur, Smyrna, or any other city in Georiga.